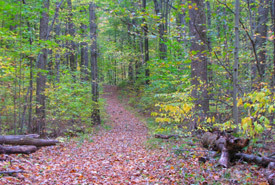 In 2010, the Nature Conservancy of Canada (NCC), with the support of The W. Garfield Weston Foundation, successfully conserved Backus Woods, a spectacular older-growth Carolinian forest. Some of the oldest living trees in Ontario are found in Backus Woods. The Foundation has supported NCC in protecting more than 4,300 acres (1,740 hectares) in the Southern Norfolk Sand Plain Natural Area. 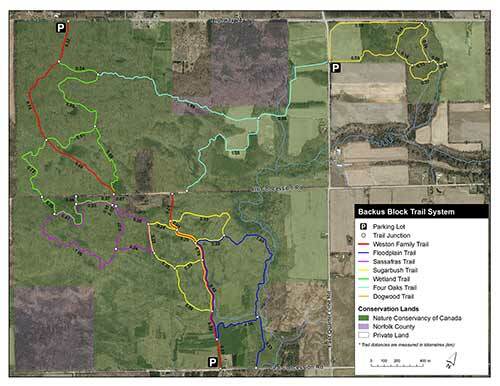 NCC has installed interpretive signs throughout Backus Woods and on 30 sign posts quick response tags link smart phone users to enhanced content. 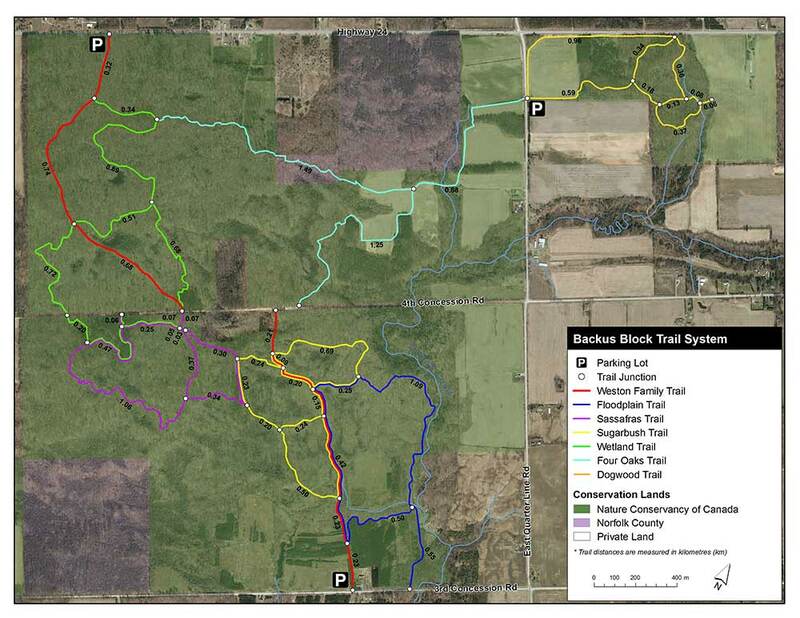 You can take a virtual tour of some of the features of Backus Woods by clicking here. Click on the trail map below for a larger version.